I'm a huge, HUGE collector of "Music for/Music to" records. 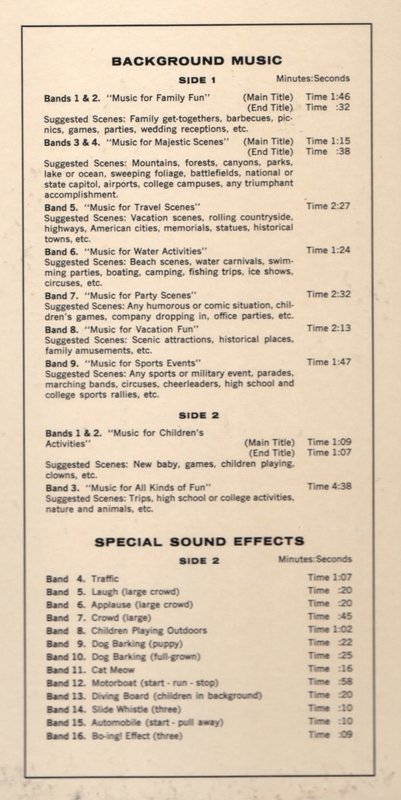 This one comes like a piece of collecting heaven, where even the tracks have titles like "Music For Travel Scenes", "Music for Water Activities", "Music for Family Fun", etc. I have other "music for home movie" records, but this one seems to be the best I've ever come across. The instrumentals are great, and sound like they were ripped off the soundtracks of Mental Hygene films of the 50's. My favorite track is "Music for Children's Activities". 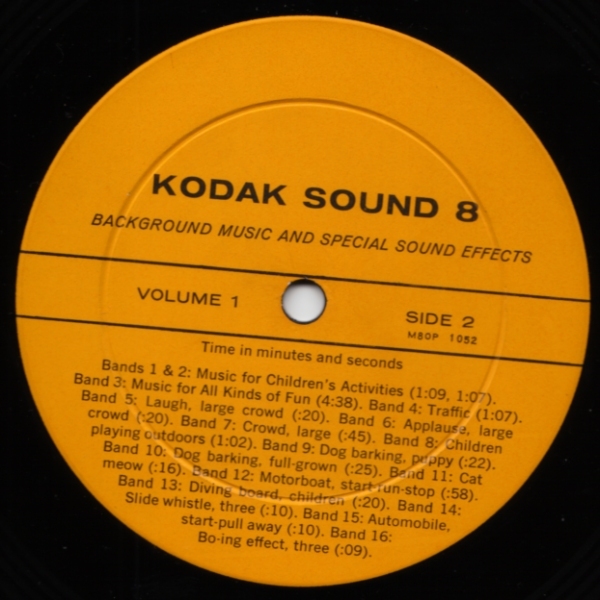 There are absolutely no credits for the musicians on this LP, other than the fact that it was put out by the Eastman Kodak Company. 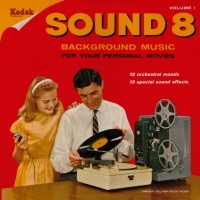 i was going to submit a set of home movie / slide show music records to 365days, but never got around to it. typically the music on these discs was licensed from one of the major production music libraries of the day, ie capitol, etc. this! Thank you, BC, OF and WFMU. This is FANTASTIC. 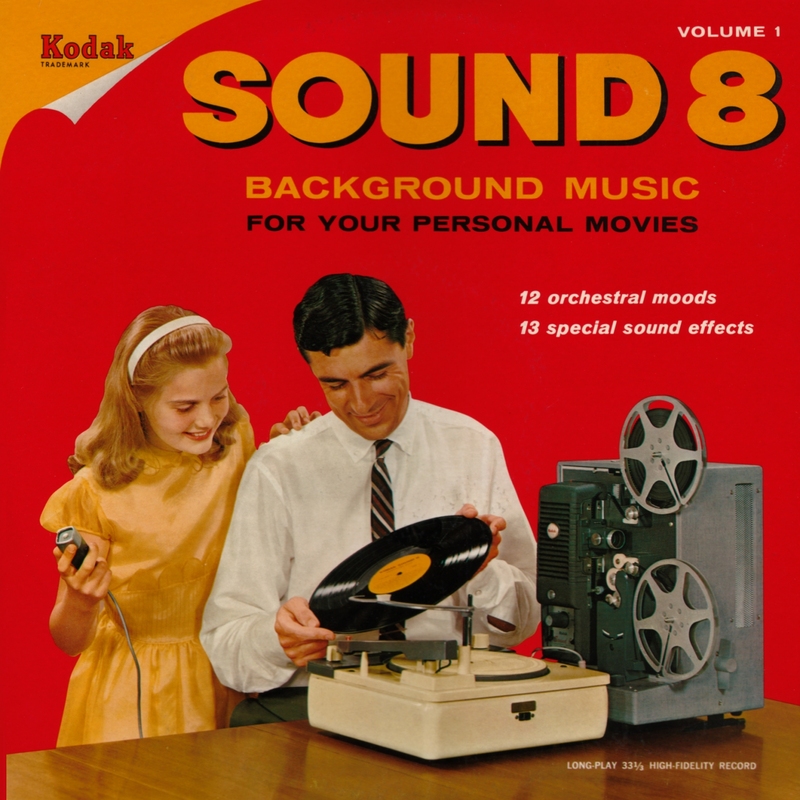 It's like incidental music straight out of every bad TV show from Family Affair to Bonanza. OK, maybe not the boing sound. 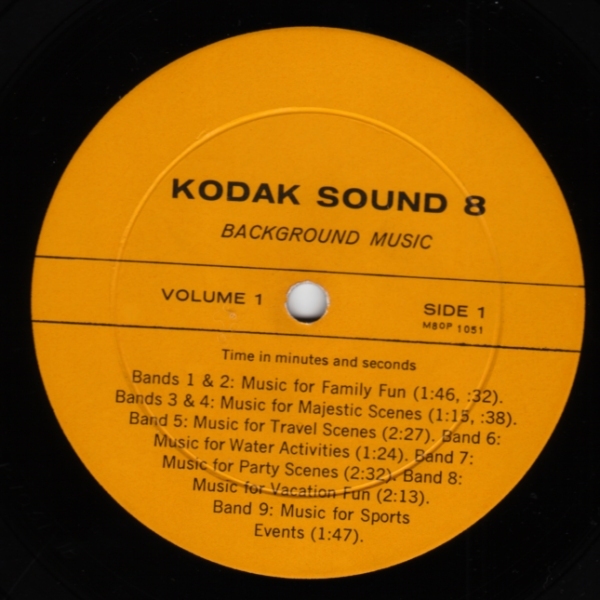 I remember a "Music for Home Movies"-type album put out under the Major Records label; perhaps you could dig that up? oh my god, music for party scenes... that's just too perfect. This sounds particularly British, so I'm going to guess some of these tracks were licensed from an outfit like AMP/KMP.